I’ve not read Ulrich’s new book but have seen and heard a few other reviews already. 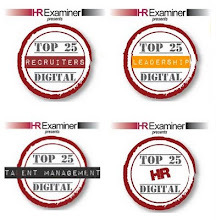 So here are some early, personal reflections on his 4 step process for HR transformation. Ulrich suggests the first phase of transformation is to build a business case by understand the context within which HR adds value. Here, Ulrich notes the need to focus on organisational capabilities as outcomes of HR activities. He suggests these are things like cost (Walmart), global distribution (Nokia), leadership depth (GE), accountability (UPS, Federal Express), innovation (Apple and Google) and speed (Pfizer). It’s hard to argue with Ulrich’s first step – but I’m still going to try! Or more specifically, I’m going to suggest that Ulrich’s first two steps are listed the wrong way round. Understanding the business and then identifying the outcomes / capabilities that support the business is a fine approach for adding value, but we want to create value too. This requires us to understand our organisation’s capabilities or potential capabilities and then to identify which of these the business context suggests are opportunities for competitive advantage. I’m also going to draw issue with the second step in this process. However, I also want to note how much I agree with the step itself. 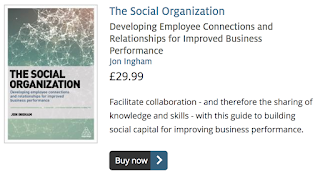 Capabilities are combinations of human, social and organisational capital, are are what this blog, and its sister blog, are all about. My criticism concerns Ulrich’s idea that, as the book’s subtitle suggests, HR transformation is about building HR from the outside in. In my view, capabilities come from the inside out. They’re so fundamental to organisations that they’re very difficult to build from scratch. The key, as I’ve already suggested, is to identify the capabilities that already exist, or could be relatively easily developed, and then seek to understand which of these provide the basis for competitive advantage. Ensuring HR professionals have the competencies they need to meet today’s demands. Ulrich says he sees line managers as increasingly accountable for HR work, with HR professionals as leaders and architects. I think there’s a step missing between #2 and #3. Organisations need to develop an HR / people management / HCM strategy before they seek to re-engineer. The strategy will include much more than just the identification of organisational capability – for example, it will suggest the talent groups that support this capability as well. I also think HR transformation / re-engineering are the wrong phrases. This isn’t actually about ‘HR’ at all. It’s about the opportunities for people management, and the role of organisational capability, or human capital, hence HCM. So Ulrich’s right to note the increasingly important role played by managers. But again, why call it ‘HR work’? Managers are accountable for managing. HR is accountable for the architecture. And as I’ve also posted on previously, I believe HR should also be accountable for providing the organisational accountability / human capital that’s been agreed as well. So I still prefer my HCM strategy development process that I posted on a few weeks ago. What do you think? 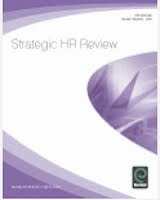 Does Ulrich’s HR Transformation provide ‘a commonly accepted way to think about the HR function’. Or is it time for Ulrich to hand the baton on to Strategic HCM? It is fun to have debates in the field. We learn from differences. But, in to this case, I (one of the authors) have to disagee with the review on two that fronts. First, for 40 or 50 years, HR has focused from the inside/out. HR has worked to meet the needs of its "customers" as employees and focused inside of the organizatoin. We strongly believe value is defined by the receiver more than the giver and that ultimate receivers of value are those outside of the organizaiton who give it resources (customers, investors, communities, etc.). It is hard to redefine HR in terms of how it creates value to those outside, not just inside, but when this happens, HR is not just an afterthought of business, but it is part of business. Our first step starts with an understanding of those market conditions in which organizations operate. Absent this focus, HR is left blindingly hoping that its work will be of sustainable value. Second, we agree totally that talent or "human capital" is one of the outcomes of good HR. But, we don't think it is the only one. When we define (in step 2) organizations as bundles of capabilities, talent is one of many capabilities. Limiting HR to only building talent is like telling IT people they can only work with desk top computers. HR outcomes, which we call organization capabilities, include speed to market, innovation, service, efficiency, accountability, leadership etc. 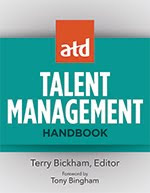 By keeping HR focused inside the company only on talent leaves the field where it has been for 40 years. Time to push forward. Jon – an interesting debate. My view is that HR exists to deliver the organisation strategy whether that is to ultimately ‘sell great beer’ or ‘provide excellent health services’. The book title is useful “building HR from the outside in” as I agree with the authors that HR has been far too internally focused in the past. When re-designing an organisation, start with strategy and then build the ‘future state organisation’ to deliver it. This will require an honest assessment of current capabilities and key gaps. The question is not “what should we do based on our capabilities” as GM would continue building unprofitable cars, but “how should my organisation be structured to achieve my organisations goals”. A method I have used successfully to transform HR involves conducting an HR Assessment (including capability gaps), determining the HR Vision (based on organisation strategy and ‘benefits’) and then developing a HR Roadmap on how to get there. On your point abound terminology, I agree with your point about HR being interpreted more broadly and enabling managers to do more people management, with HR providing the architecture and tools etc. But this is all about “HR Transformation”, moving HR to its future destination, as in its current form it needs radical change. Can the "40 or 50 year" conudrum be cracked??? Andy, I hope you didn't mind my comment on your response in my follow-up post: http://strategic-hcm.blogspot.com/2009/08/organisation-capability-and-strategy.html. I do agree with you on GM, I just didn't think the point detracted from my argument. That was all. 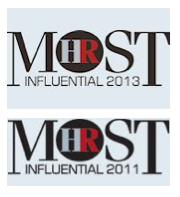 Thanks for the debate on the Issue as most of it is covered in my PhD research on the Issue of HR Transformation. That is normal and healthily and showing that we are going in the right track of building new HR of new look that has the same value to the business like the Sales, Production, Finance. In my view, the transformation of the HR starts from the strategic alignment of the HR strategy with business strategy. We have to agree that there is no separate HR strategy. The HR strategy is an integrated part of the business strategy. What I have seen in many organizations is totally different. However, business leaders use to set plan for overall business strategy which include the business transformation without giving consideration to aligning the HR strategy with business strategy they come at the end with strategy failure or strategy drift as they ignore one of the main business resources which is HR. In my reading to the book I Observed that Dave Ulrich did not make it clear which come first the strategy formulation or the transformation who is the cause and who is the event? Also, there is a lot of debate about the business capabilities. I agree with you that Capabilities are combinations of human, social, intellectual capital (total of the intangibles) combined together and integrated with organizational capital ( the tangibles). We as HR professional can add value to business when we leverage the intangible capabilities which by cause and event add value to the business and contribute directly to the leverage of the other organization capabilities (the tangibles). The result and outcome will be the business success and the sustainable competitive advantage and the satisfaction to our stakeholders and customers. That is the idea of HR Transformation by building human resources from Inside Out.